At Cavaco Motors Porsche is what we do and only what we do. Passionate about classic air cooled Porsches and providing honest, quality servicing and repairs for all Porsche enthusiasts! Call David to book an appointment - pick up and drop offs available from CBD. Being blessed to work in the centre of the city in a 100 year old building, has unfortunately come to an end, but Cavaco Motors has not, relocating south of Sydney CBD to continue to maintain a sustainable and personal service that has been provided for the last 16 years. This decision was not made lightly, and to move forward, moving closer to home is was the most sustainable option (as options of relocating was reduced dramatically with the current changes in Sydney). Creating a personalised business that we have maintained all these years, I am committed to providing the most convenient personalised and affordable service as possible with the transition and also for the future! Cavaco Motors started out as father and son duo. 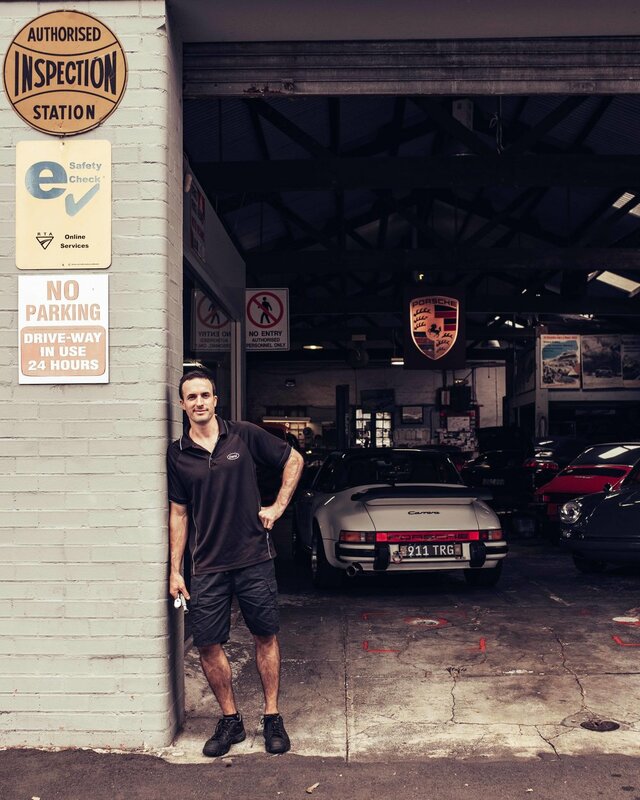 Their success was driven by their passion and extensive knowledge for almost 17 years, providing quality workmanship to Sydney’s true Porsche enthusiasts! We fix, service, restore some of the finest Porsches in the land! Dave is now taking the lead after his father (Carlos) recently decided to close his toolbox, continuing to offer quality, efficient and honest servicing to the Porsche Brand for the enthusiast to enjoy!